You’re alone in the attic of an abandoned house and the Weeping Angels are coming for you. The aim is to survive until the Doctor can send the TARDIS to save you. To help, he’s rigged up your webcam to CCTV around the house so you can watch the Angels. 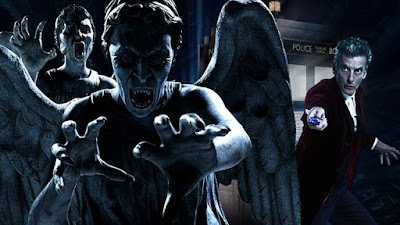 They can only move when you’re not looking at them so, whatever you do, don’t blink! Your webcam should detect when you blink or look away. The game works on Chrome 48.x or higher, Firefox 43.x or higher, Windows 10 Edge on desktop only. Play the game on BBC Taster here.